The Hotel is situated on the river Suir with a relaxing riverside terrace area and yet only 2 minutes walk from Waterford City Centre. Offering a great location and yet just a short walk from Waterfords pubs, clubs & shopping areas. For bookings of 10 or more people this hotel will need a rooming list 10 days before arrival and a deposit of 200 euro at check in. This is a non smoking hotel. Christchurch Cathedral - Originally of Viking foundation the present Cathedral was designed in the 18th Century. The Granary - Take the treasure trail and explore 1000 years of Waterford's History. Reginald's Tower - Dating back to 851 has a Civic & Maritime Museum. lovely hotel .food fab,staff very nice.We had a lovely big room looking on to the water. Huge choice of cereal and fruit for breakfast.Would rate the hotel 4 star. Enjoyed our break at Marina Hotel from 2-4 Dec 2016. Staff very pleasant, good entertainment each evening,great choice of breakfast. We would have liked a larger bed as the double bed ? that was supplied was not suitable for two adults. Great deal - nice hotel with wonderful staff! We stayed in the Waterford Marina Hotel, this hotel was fantastic, the staff were the most helpful, obliging, extremely friendly. The hotel was fabulous, everything perfect in the room. The location of the hotel was brilliant just a short walk to the city centre. The food was superb. 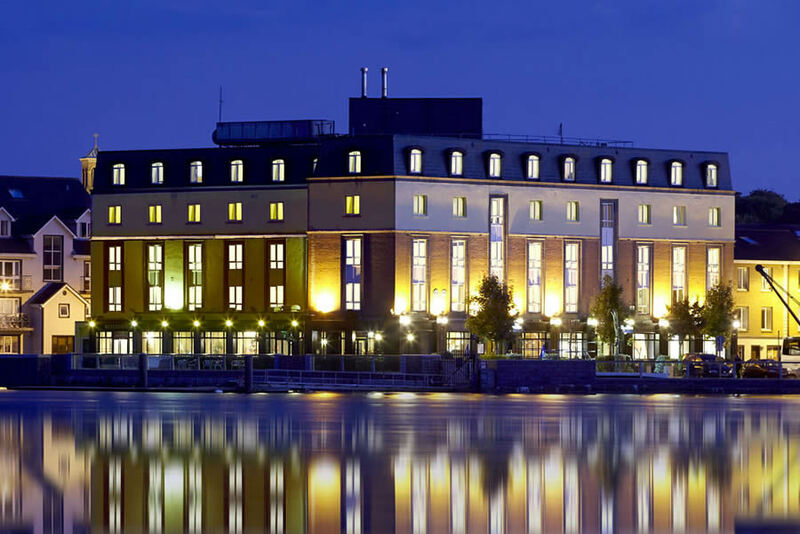 I would highly recommend that if you were to stay in Waterford City, the Waterford Marina Hotel is the only place you should stay. We were delighted with this break. It was a little tricky trying to find it as it was behind other buildings but a great location for the city. The hotel had their own parking which was great. Staff were really friendly and knowledgeable. I'm wheat intolerant and they double checked everything for me. There was a nice spread for breakfast and dinner. Their peppercorn sauce is the nicest I have ever tasted! The dining room is a bit draughty especially at the windows. Breakfast on the Sunday was busy and eveybody's toast was slightly burnt at the edges. The room was comfortable, double and a single bed, dresser, coffee maker, tv, table and chairs etc. The decor looks a bit dated and there is a smell of air freshner in the corridors but you get used to that. Shower was grand and hot and it was lovely to have the option of running a bath. It is a bit dark around the area of the hotel so I wouldn't be walking alone. We would definitely recommend a room looking out over water. A well enjoyed stay at the Waterford Marina Hotel. Our room was lovely and overlooked the river, as requested. The hotel also wished us a Happy Wedding Anniversary with a personalised greeting note and a complimentary box of Milk Tray! The dinner and breakfast included in the package was excellent and with great service. The hotel was conveniently located for exploring the city and shopping. I would not hesitate recommending this hotel to others. It was all it promiced to be and at a bargain price. We had a lovely time at the Waterford Marine Hotel. The staff are just lovely - friendly, helpful and attentive. The food was great both breakfast ( I loved the berries!) and dinner. Location and car parking excellent and hassle free. Thanks everyone! I always stay at this Hotel great location and excellent service. Rooms are very clean and spaceious. The staff were friendly The hotel was neat and clean The breakfast was of a good standard, and the service was good. We did not like the dinner menu We thought the vegetables were poor and scarce. I wouldnt have a bad word to say about the staff they were all very nice and friendly, but the hotel itself could do with a clean and maybe brightened up, my double room was tiny just enough room to walk around the bed, i was glad i was only staying for one night and not two. Great hotel, lovely friendly staff willing to help and advise on anything you require. Breakfast was lovely, great selection and plenty of food available. Rooms were nice and comfortable, clean and quiet. Would definitely go back and recommend this hotel. There for weekend with two friends, we live in Dublin, Kerry and Cork, so don't get to see each other as much as we'd like and thought Waterford convenient for all three. The Staff were welcoming, friendly, and so helpful. The food gorgeous. (had planned to dine in hotel Friday night and go out on the Sat - but the food so good, we dined in on Saturday as well). Park up the car for weekend, everything within walking distance. Lovely views. We had the best weekend. Enjoyed it so much am already planning a return visit with the hubby as soon as possible. Big thanks to all the staff. Can't say enough good and positive things about the Waterford Marina. We enjoyed our stay at the Marina Hotel..the staff were very helpful and friendly. No effort was too much for them to point out the "must not miss" places in Waterford, the waiting staff were attentive without being intrusive, the food was enjoyable and the ambience in the bar was very pleasant. We would have no hesitation in recommending this hotel to any visitor to Ireland. 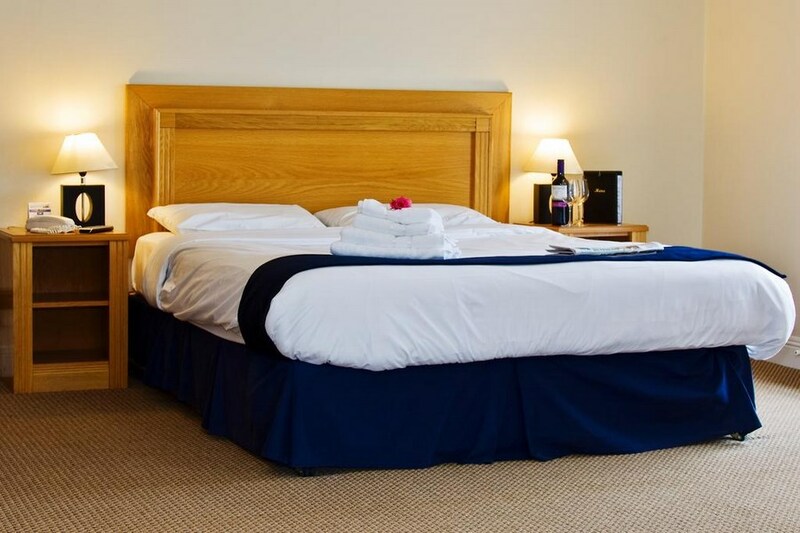 The location of the hotel is within easy walking distance to the shopping areas and tourist attractions and its situation by the river is picturesque. Great value for money. Nice hotel, very close to town centre, Very clean. Had dinner and breakfast. Food is amazing, great selection in the breakfast buffet and bar food is reasonably priced. Would stay again. Stayed at the Waterford Marina Hotel last Friday night with a group of girls. We really enjoyed our stay, staff were lovely and the rooms were clean and bright. We went with the B&B and dinner option. The food was good with a great choice on the dinner menu.. Overall we had a very pleasant stay and I hope to return with my husband soon. We had a fantastic stay at The Waterford Marina Hotel. Out room was spacious, clean and overlooked the river. The food at breakfast, lunch and dinner was delicious. The staff were wonderful, everyone went out of their way to make our stay as good as possible. The hotel is in a perfect location for walking to the viking triangle and Waterford Crystal, which is a must-see for any visitor. Only recommendation I'd make to the hotel is to install even a small safe in the bedrooms. I'd definitely recommend the hotel to everyone. Hotel was very clean, with friendly staff. Rooms were spacious and breakfast was excellent. I had a nice river view from my room. The dinner was lovely, however very smal portions and i only recieved one boiled potatoe with my main course. I requested a room with a view of the river, but I did not expect that it would be a smoking room and the smell of stale cigarettes was awful. The staff in the restaurant were very friendly. We had a lovely stay. The staff are very helpful & friendly.The shaver unit was faulty and the cleaning lady was ever so helpful and provided a room where my husband could shave. On returning from our travels that evening the faulty shaving unit had been replaced. The room was very nice and spotless with a lovely view of the river. The breakfast was excellent and the meals in the restaurant very nice. The hotel is about 10 mins walk from the town centre. We would have no hesitation in recommending this hotel. Have to say the staff in this hotel were great, especially Danny the bar man what a lovely man and a hard worker ! The hotel is pretty basic but has all you need and only 5-10 mins walk from main shopping area, although there is many other things close by e.g waterford cyrstal, pubs etc. unfortunately there was a slight smell in the room but that was caused by the river when the tide was out. I would reccommend this hotel it was clean, food was beautiful, staff extremely friendly and helpful. Parking facility is great underground secure carpark no extra charge. Will definately stay again if looking to get away for a night. 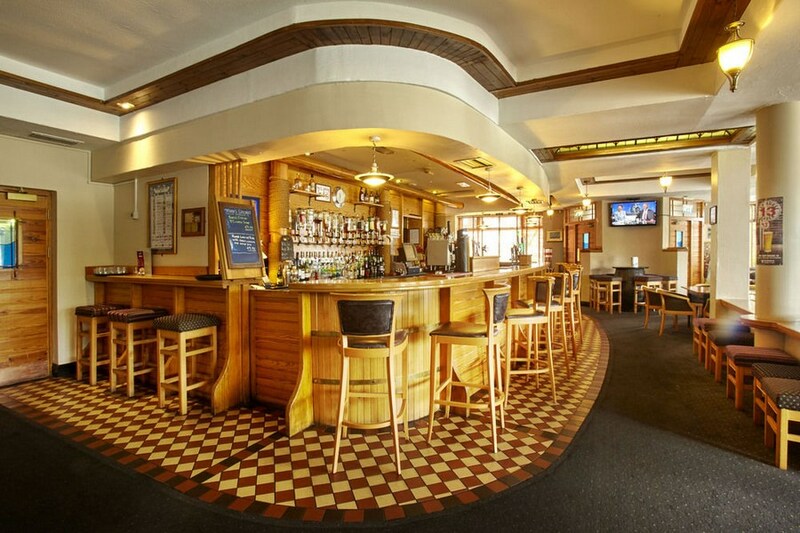 We were there last week for a weekend and had a great time .Staff are brilliant and very helpful.Music in the bar was great in the evening and breakfast was perfect.Couldnt fault this place except it was a little bit further down the quays than i thought but other than than we had an excellent time . The hotel was lovely, clean and the rooms where spacious. The staff where friendly and helpful. it was a very good hotel for a group of girl's. would recommand for a Hens or Stags. Spent St Patrick's Day weekend herel! Great atmosphere, friendly staff and great location (just close enough to the city to be able to walk everywhere and far enough away not to be too noisy! Would recommend it!! Stayed for two nights in February we are a couple with and 12 yr old child. Staff are lovely, room was great nice and spacious with super view. The location is great, walking distance of the centre and all the attractions and also there's a lovely little park beside it called the Peoples Park with a great playground if you have children of that age. I can highly reommend the coffee shop in the park as well. We thoroughly enjoyed our stay and would love to return. Stayed here first week in January with three children. Staff were very helpful and could not do enough. Family room was huge and comfortable and location very good. Biggest down side was breakfast,standard buffer fair which I dont like as i ilike a fresh grilled breakfeast,wasn't much other choice eg. eggs benidict. Apart from breakfeast its a fine hotel and the staff really make it homely. I found my recent stay in the marina hotel to be very pleasant. Staff were welcoming,dinner was gorgeous & the rooms were very comfortable. It was excellent value & look forward to returning. Great location & with parking on site. Staff were friendly & room was fine, shower could have been a bit warmer but otherwise no complaints. The buffet breakfast was enough to keep us going all day! Was tempted by a nightcap in the hotel bar late on Sat night but the dodgy music being played put an end to that idea, luckily it didn't last too long as could still hear it in the room. WE had great weekend at this hotel. Staff very helpful and friendly. Food good and adequate portions. Loved the hotel entertainment. Safe lock up car parking .Room big and comfortable. Would defiantly recommend this hotel and hope to return in the future. Lovely Hotel just a short walk from the town and just beside Waterford Crystal. Extremely friendly and helpful staff and the rooms were spacious and clean. We all had a lovely weekend and I would recommend this hotel. This hotel is really a hidden gem in Waterford City, within walking distance of shops, pubs and restaurants. The staff were very friendly and efficient. Going on previous reviews we asked for a room away from the bar with a river view and I must say that was exactly what we got - and the rooms were very spacious and comfortable, We opted for the dinner, bed and breakfast package which we found to be excellent value, there was a great choice on the evening menu and we tucked into the hearty breakfast the following morning while taking in the views of the river with all the boating activities taking place. We will definitely be back to stay at this hotel again. Nice Hotel, very pleasant staff. Rooms are spacious and clean. The only criticism I have was with the waiting staff.or should I say one in particular! We didn't have Dinner in the hotel but had breakfast the following morning. I watched with horror when I saw one of the waitresses setting a table, she was handling all the forks,spoons etc not by the handle but by the part you eat off. The same waitress dropped cutlery on the floor, picked it up and set the table with the same cutlery!!! Excellent value for money .. very friendly staff.. great food and entertainment in the bar friday and sat night.. didn't have to leave the hotel .. This Hotel is a very good 3 star. Very Clean, Staff very friendly. Great location in the centre of Waterford City. Food good and excellent value. Very nice views of the River from bedroom and dining room and terrace. Will definitely go back again. Planning another trip for December for Christmas Shopping. Loved it. Kay Crowe. This was my 2nd visit to this hotel & I found the staff to be very friendly & helpful, going out of their way to please. The room was very clean with lovely white cotton sheets & fluffy towels in the bathroom. The breakfast buffet has great choices & all freshly prepared food. Had a great weekend in Waterford . Food is delicious in the bar. Rooms are spotless and the staff very helpful especially Daniel and Roma . Always stay in the Marina hotel when we go to Waterford which is twice a year. Stayed in a Family room for 2 nights and we found it was good value except our view was the flats and car park. Breakfast was standard. Staff were very friendly and efficient. The hotel is ideally located for walking to shops and the kids loved the People's Park which is only a short stroll away. I think it has the best playground we have found in Ireland so far. The Gate lodge cafe was a real treat and great lunch. The hotel was nice, good location, pleasant staff, live music both nights we were there. The big problem was the ceiling fan in the bathroom which was going 24 hours a day. Got very little sleep the 1st night. Reception assured me it would be turned off when l politly complained the next morning at 9.30 am. When we arrived back in our room after a night out all was finally silent after the fan had been going all day & was beginning to sound like a jumbo jet was in the room. Finally got some sleep till 5.45am when it started up again. Was very disappointed that having said they would turn the fan off they did not bother. Would not stay there again. I have been to this hotel several times and have been happy with the overall experience. One of the things I particularly like is the lock up car park. however this time I found notices up telling me to park in the enclosed car park before booking in. On my arrival it was pouring with rain. There are sever parking bays at the rear of the hotel marked Hotel. In view of the weather and the fact that at 73 years of age I did not relish the thought of dragging our cases from the underground car park, i did in fact park in one of these spaces. I raised the matter with reception and was told the hotel only had two disabled bays at the rear of the hotel and that I was likely to be clamped in the other bays. This seemed to be in keeping with the notice I had seen outside and the one attached to the reception desk. It did seem to me if this information was correct that the marking of hotel on the bays should have been removed. The following day I went back to reception and asked them to verify that if I parked in the bays marked hotel I was in danger of being clamped. This time I was informed that the bays marked hotel could be used by the hotel guests. i still hold the opinion that the hotel is comfortable and good value for money which is the reason have returned so often. That said I think the question of the use of the car park should be made clear to patrons. Getting two opposing versions of the situation does not make for a happy guest. I would also like to suggest in this day and age where most people carry valuable electronic items such as lap tops it would be nice to have a room safe as is usual with most hotels these days. I would be interested to know the managements version of the car park situation.